The Fiber Optic Converter features heightened sensitivity for use specifically with SEA&SEA or Nauticam housings with internal electrical-to-optical flash triggering devices. These devices translate the camera's electrical signals into a series of LED flashes which are much less bright than a traditional built-in camera flash. 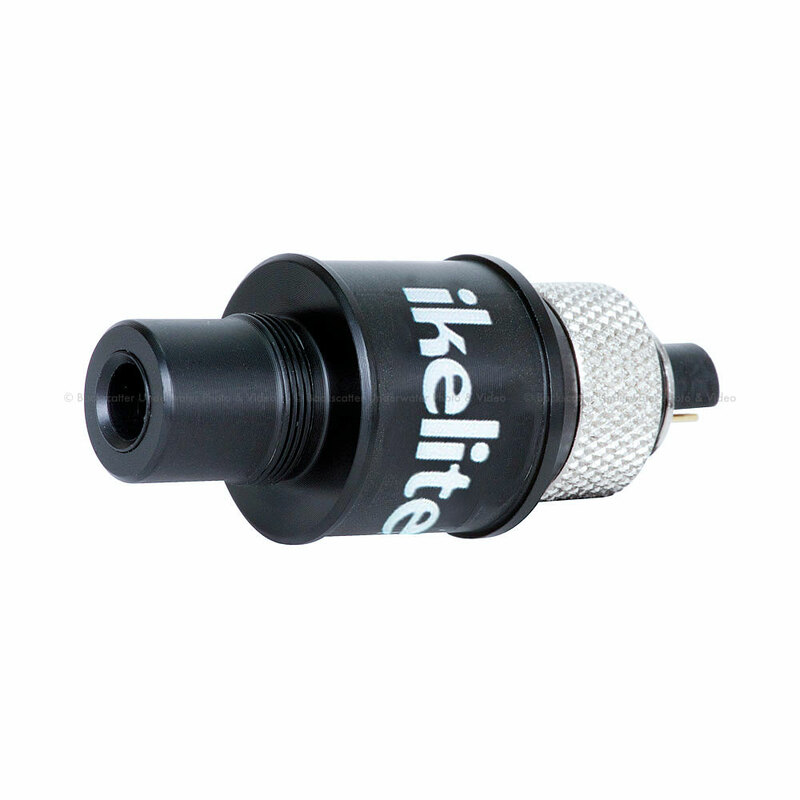 Converts the electrical bulkhead of any Ikelite DS strobe into a fiber optic port. Compared to the Fiber Optic Adapter (1st Gen), upgraded electronics make this Converter capable of accurately reading these signals for fast and reliable triggering with these devices. Like the original Fiber Optic Adapter (1st Gen), the Fiber Optic Converter is also compatible with any system where the camera's built-in flash can be seen by a fiber optic cord. For fiber optic triggering of a DS strobe directly off of a camera's built-in flash AND remote slave triggering off another flash without a cable, consider the Optical Slave Converter, see below. The Fiber Optic Converter automatically configures itself for compatibility with both pre-flash and non pre-flash camera modes. No setting of small switches or confusion over number of pre-flashes. Simply turn on your strobe and take one picture to configure. This adapter is a manual exposure (non-TTL) trigger only. The strobe's output may be adjusted using the manual power settings built into the strobe (varies by model). An individual Fiber Optic Converter is needed for each strobe. Use of two strobes requires two Fiber Optic Converters. The Fiber Optic Converter supports DS50, DS51, DS125, DS160 and DS161 strobes.